Do you love pretty things? Is glam and extravagant your style? 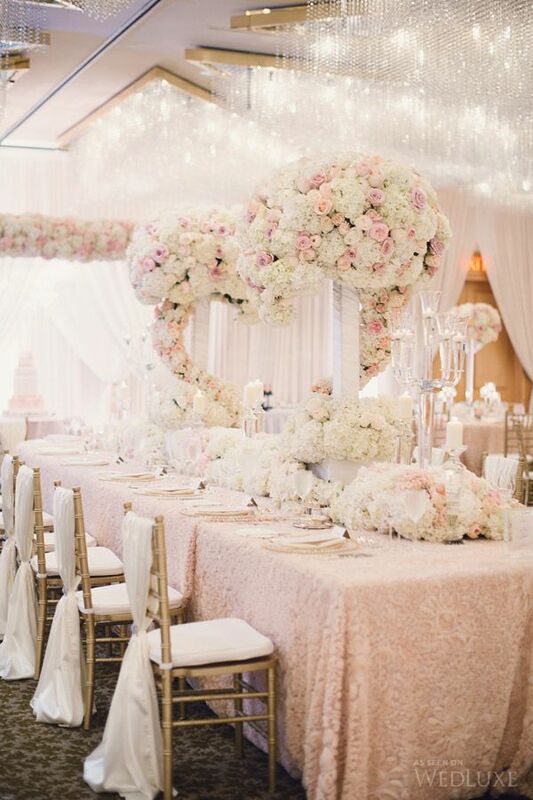 Then you will love the tips we have put together on how to achieve a glamorous wedding style that will leave your guests wanting more. As much as we love new trends, we love to look back on some wedding ideas that happened 50 years ago. Tie in the old and the new for a glamorous romantic vintage styled wedding. Serve champagne to your guests. Want to make a wow statement and double it as your focal point? 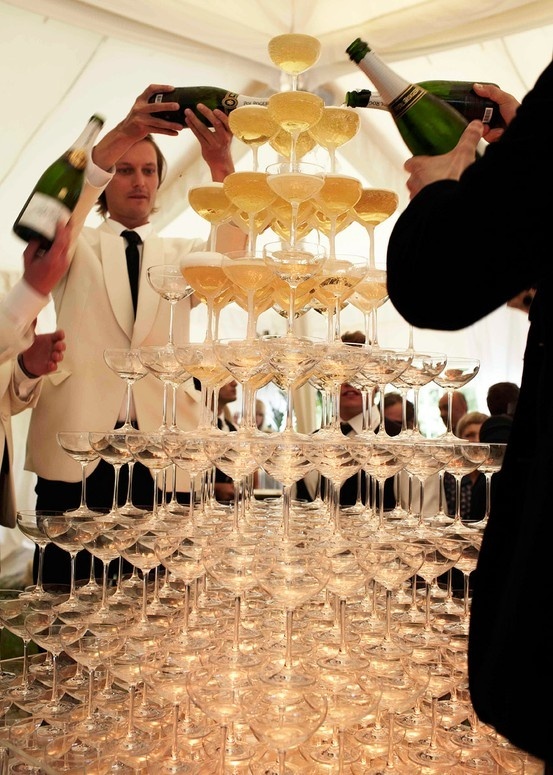 Why not set up a champagne tower. It looks great and tastes even better. As much as the champagne can double as entertainment, have real entertainment for your guests for the cocktail hour or in between meals. Think, acrobats, live statue performance, belly dancers, drummers, live bands- the possibilities are endless. 2. Everyone by now should know that invitations really set the tone for your event. Make sure your wedding invitations reflects the type of event you are setting out to have. When your guests receive the invitation they should be able to tell how formal the wedding is by the type of paper you used, the font used to write the wording and the packaging (envelope in this case). Your wedding planner and invitation specialist should be able to help determine this. 3. Table design! It’s all about the little details and how to make it work. Nothing says glam like gold! Don’t over do your table. 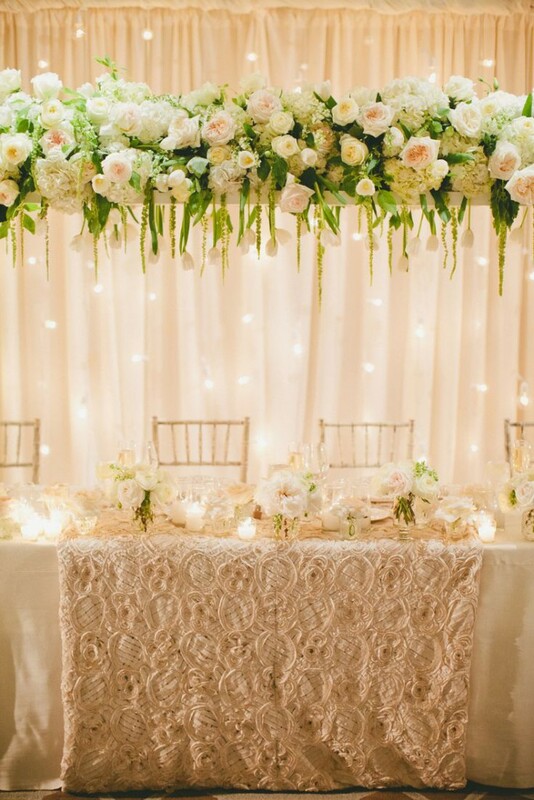 Touches of gold here and there will make your wedding look extremely elegant. A nice charger plate with gold rims, glassware and flatware that are gold and gold votive candles will do the trick. For a more classy look, I would suggest using all white linens. This represents pure, clean and elegant. The accessories that you use to dress up the table will compliment and tie it all in. 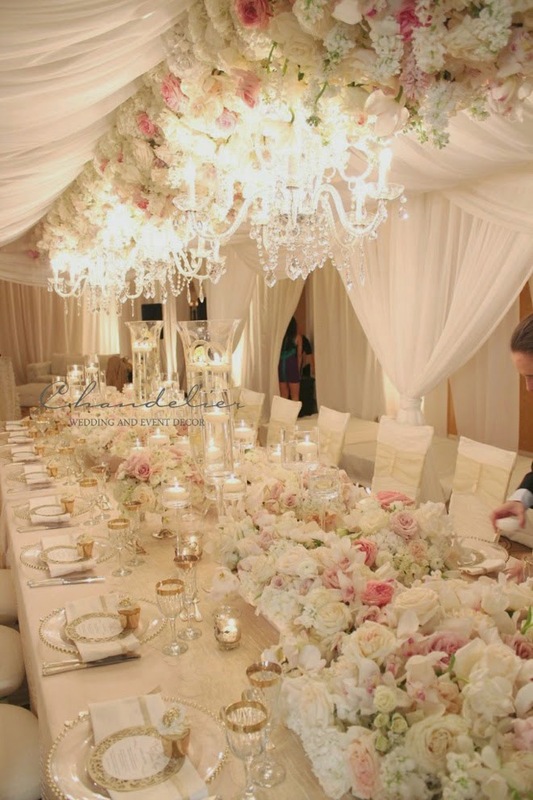 For chairs I would suggest renting white/gold chiavari chairs or ghost chairs. 5. Your wedding ballroom. 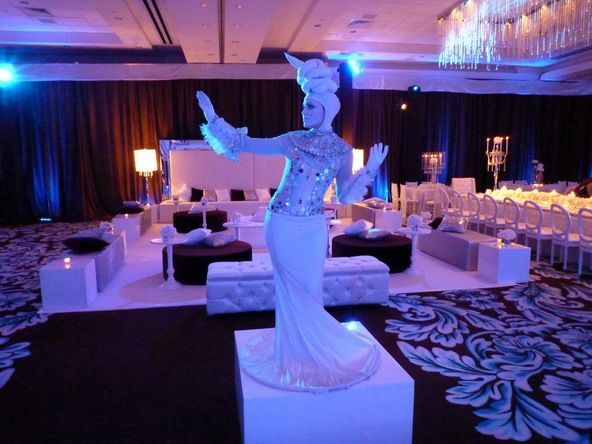 With all your beautiful glam wedding decor you need a gorgeous elegant wedding ballroom room to go with it. A room that has details, crystal chandeliers and gorgeous window. Don’t limit your searches to only ballrooms, think museums, mansions, industrial wedding venues and luxurious wedding venues. Read our blog on some awesome wedding venues in Ottawa.